Bertha Foundation supports activists, storytellers and lawyers working to bring about human rights for all. We believe that social change can happen effectively when these groups and individuals come together to work on a common issue. Many organizations that Bertha supports hold a similar belief about how change happens. 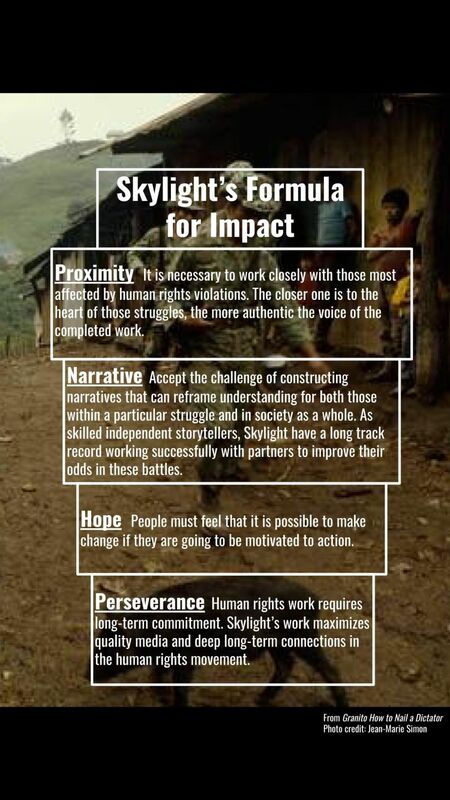 Skylight develops tools to expand the use of media for human rights and social justice. They believe that networks of filmmakers and artists working with activists can shift cultural perceptions, strengthen democratic values and drive positive social change. It is this shared vision that has served as the foundation for our partnership with Skylight. This impact report illustrates how Bertha and Skylight have worked collaboratively to achieve maximum impact. For over 30 years, Skylight has been producing artistic, challenging and socially relevant media focused on amplifying the voices of constituencies battling for social justice and their rights. Their approach entails forming deep partnerships with organizations and change makers and working systematically with those partners to build media ecosystems: collections of dynamic media and digital tools ranging in content and length that work to strengthen human rights narratives. The feature-length documentaries they produce are the hubs and the emotional heart of these ecosystems, catalyzing a wide range of media products that are developed and utilized by their movement partners. Skylight recognizes that with the advent of new technologies and digital storytelling - and the changing tactics of social movements - battles for narrative are being intensified. 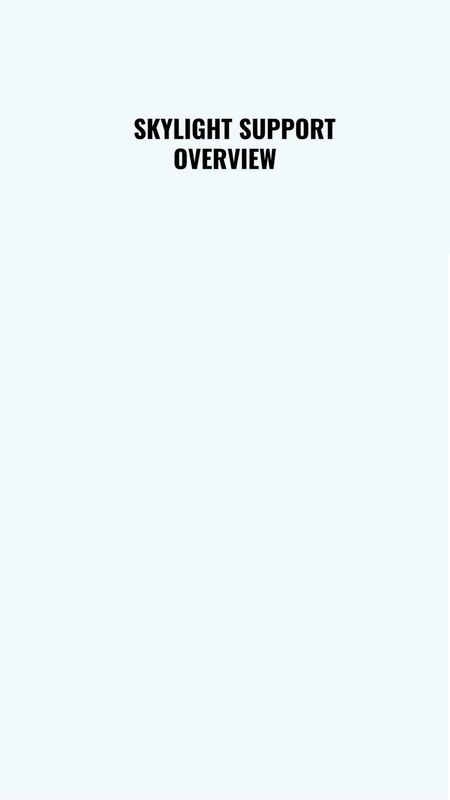 They respond to this by telling stories that inspire. By showcasing human rights victories such as putting dictators in prison, they highlight the strategies and people power we can all harness when faced with authoritarianism. 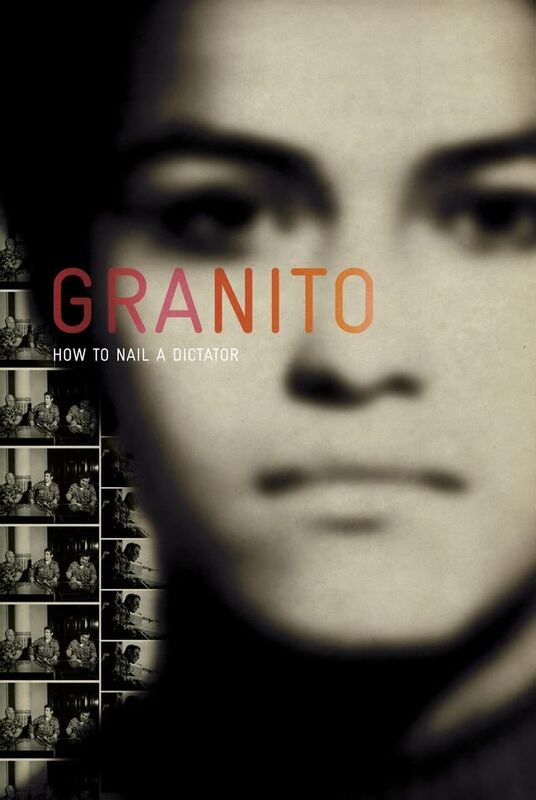 At the 2011 Sundance Film Festival, as Bertha was beginning to establish its Social Impact Media Portfolio, the team saw the Skylight film Granito: How to Nail a Dictator. Part political thriller, part memoir, Granito tells the extraordinary story of how director Pamela Yates’ 1983 documentary, When the Mountains Tremble, provided key evidence for bringing the indictment for genocide against former dictator General Efraín Ríos Montt, who led the brutal war against Guatemala’s Mayan people in the 1980s. Weaving together the story threads of seven protagonists over 30 years, each add their own ‘granito’ - their tiny grain of sand - to Guatemala’s fight to bring a dictator to justice and give the Mayan people their day in court. Granito is a perfect example of how a film team with a smart and strategic plan can use an inspiring documentary about community organizing as a tool. Granito was the first impact campaign Bertha supported, the goal being to bring the film back to Guatemala where it belonged. Bertha’s funding went to supporting the premiere of the film at the National Theater in Guatemala City, the creation of two different Mayan language versions of Granito and the development of a multimedia oral history project. The Skylight team strategically delayed screening Granito in Guatemala until March 1, 2012, after the country’s presidential elections had concluded. 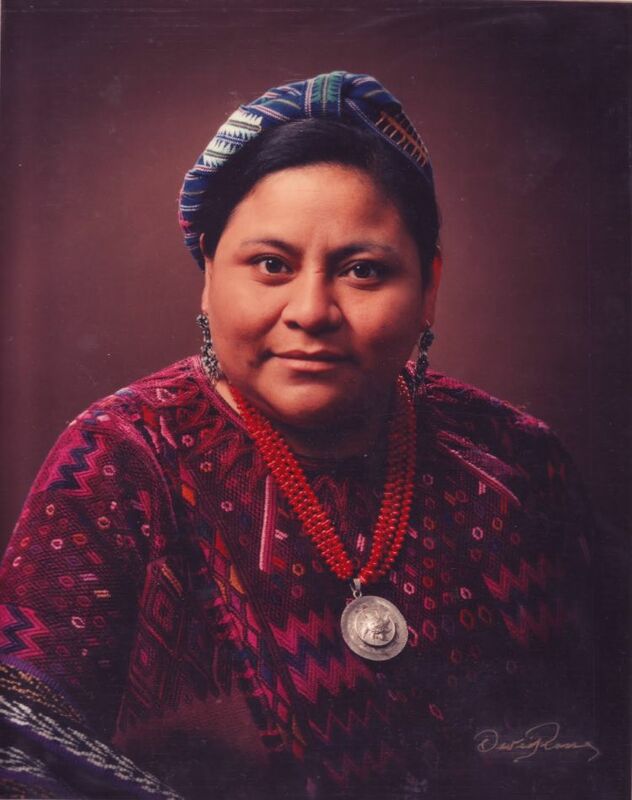 Had the film been released during the presidential campaign, the team were advised it could have been seen by opponents as a political ploy by candidate Rigoberta Menchú, a Mayan-K’iche’ Nobel Peace laureate and human rights defender, who is featured in the film. Once the electoral season was over, they secured the 2,000 seat National Theater for Granito’s theatrical premiere. Tickets were free of charge and all were distributed within two hours of being released. The film played to an overflowing house and the audience gave a standing ovation which continued while Pamela Yates introduced the cast and film team. 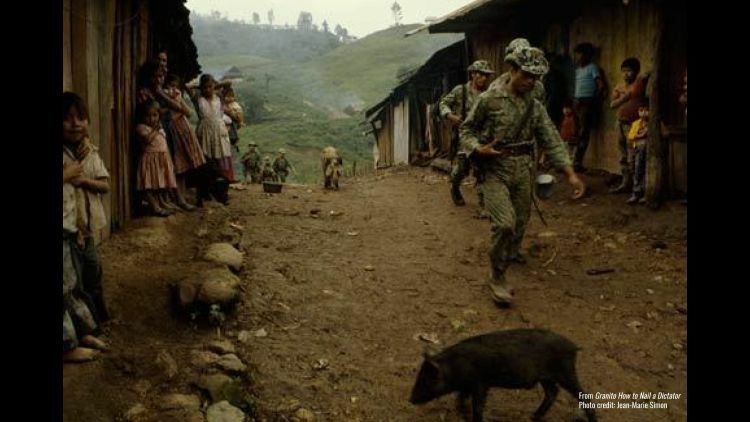 Guatemalans had embraced the film, and so began the journey of Granito into the fabric of Guatemala’s historical memory. 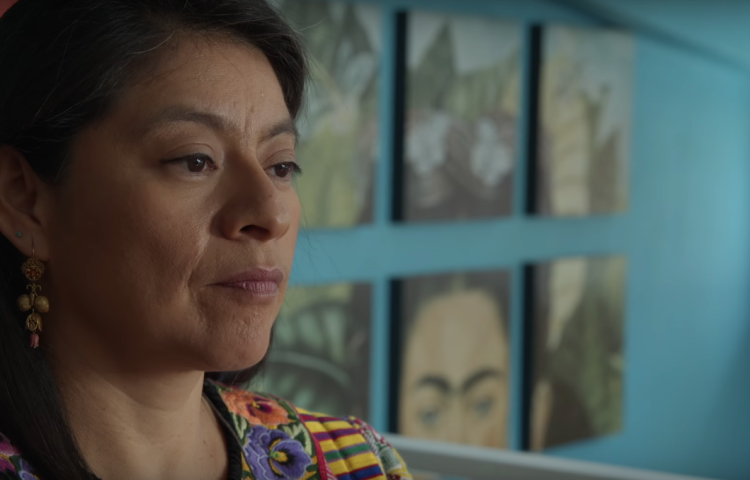 Translating the film into Mayan, the most spoken language family in Guatemala made up of over 22 languages, was a vital step to ensuring that the the film would be as widely accessible as possible, particularly by the communities featured in the film. Skylight partnered with the Academy of Mayan Languages in Guatemala to translate the film into Ixil, K’iche’ and Tz’utuhil languages. Skylight also recognized that all the translations would need to be spoken, as many audiences they sought to engage had never been to school and would not be able to read subtitles. 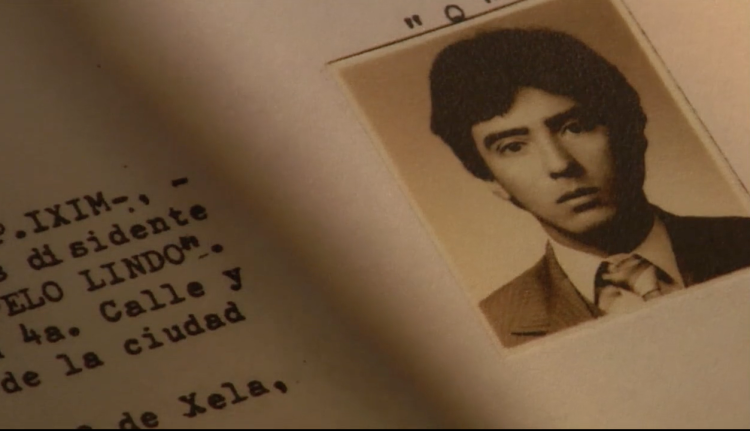 The lessons learned from making the Ixil and K’iche’ versions helped Granito create a working template to support the translation of the film into the remaining Mayan languages. Members of these teams have since been inspired to translate other important documents from the genocide trial into Mayan languages. 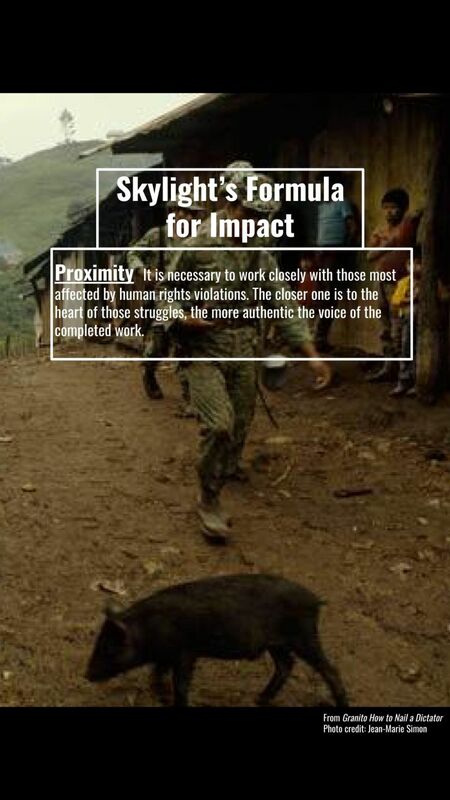 The outreach work around Granito served as proof of concept for Skylight’s vision of creating human rights media ecosystems. 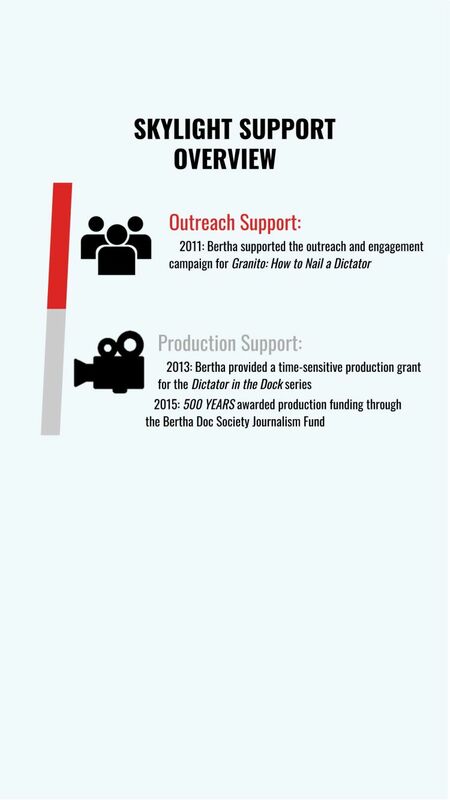 In addition to the translated versions of the film and in recognition of the importance of capturing historical memories, Bertha’s funding went to support the creation of a multimedia oral history project called Granito: Every Memory Matters (GEMM). 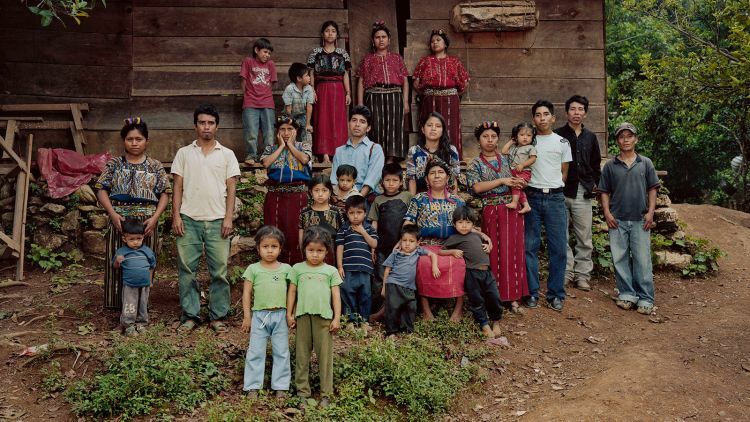 GEMM has been created as an intergenerational, interactive public archive of memories intended to further expose the history of the Guatemalan genocide. 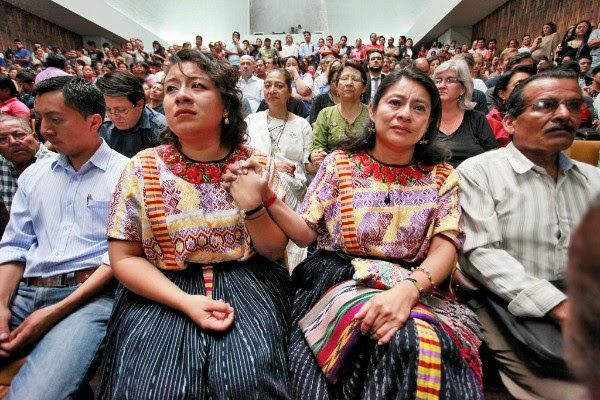 GEMM aims to harness the power of storytelling and create an exchange that awakens and restores the collective memory of Guatemala&apos;s recent past which claimed the lives of more than 200,000 people, 45,000 of whom were "disappeared." Anyone with a memory or story to share can contribute using simple media tools. 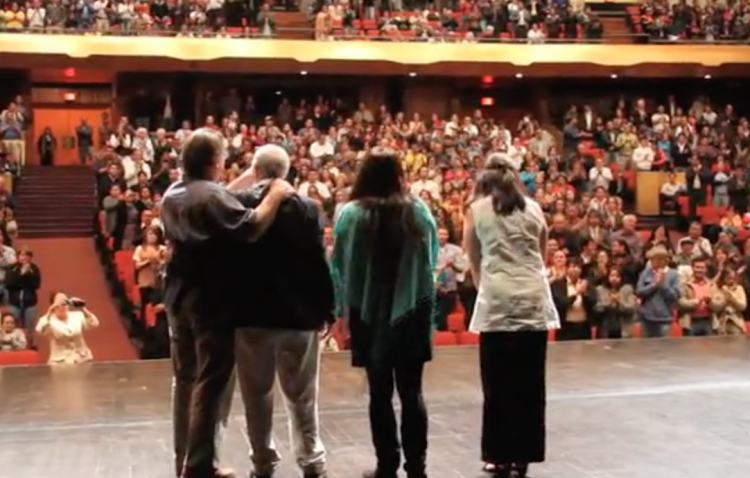 These memories, when brought together, form a collective narrative that will combat el olvido - the purposeful forgetting that bolsters a culture of impunity - and inspire a more hopeful future. Says Yates, "We hope to begin a conversation across the generations to take away the fear of talking about the genocide." 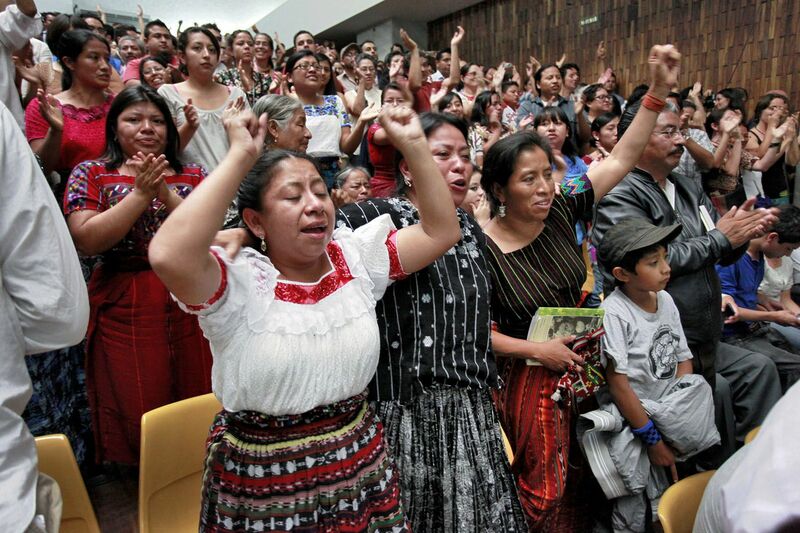 As a result of the movement generated by indigenous Mayan survivors, Dictator Ríos Montt was arrested. When he went to trial in 2013, there was an opportunity to film it. 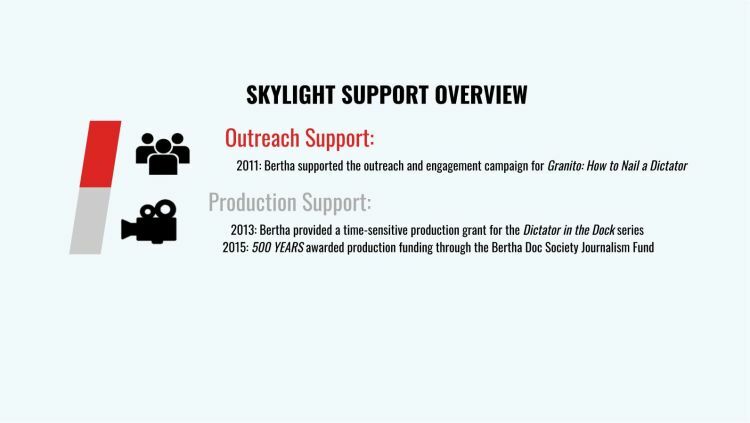 When the trial unexpectedly began three months ahead of schedule, Skylight quickly pulled together a volunteer film crew and contacted Bertha, knowing we understood the importance of documenting the events. 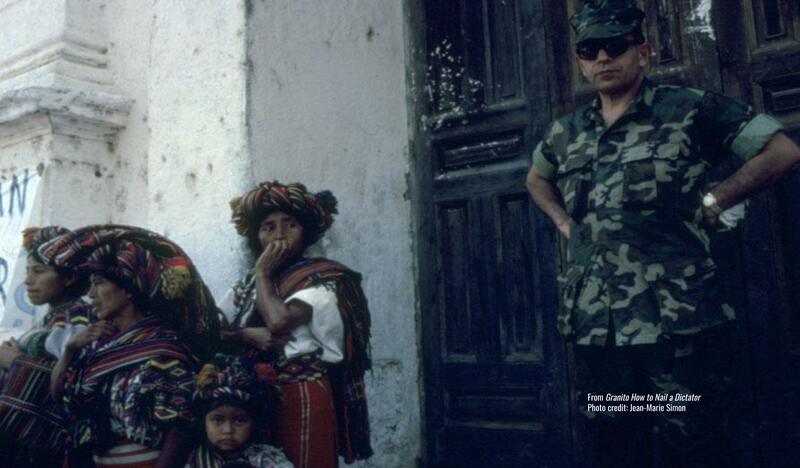 This was the first trial of a perpetrator accused of genocide against indigenous people anywhere in the world. 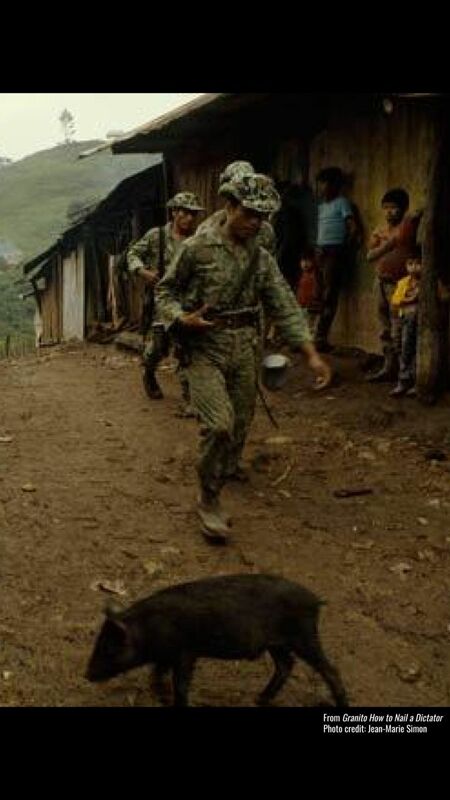 Skylight was so embedded in this case that they were able to submit an interview from 1982 with Ríos Montt that featured in When the Mountains Tremble during which Ríos Montt claims command responsibility of his troops. This was used as evidence in the genocide trial. 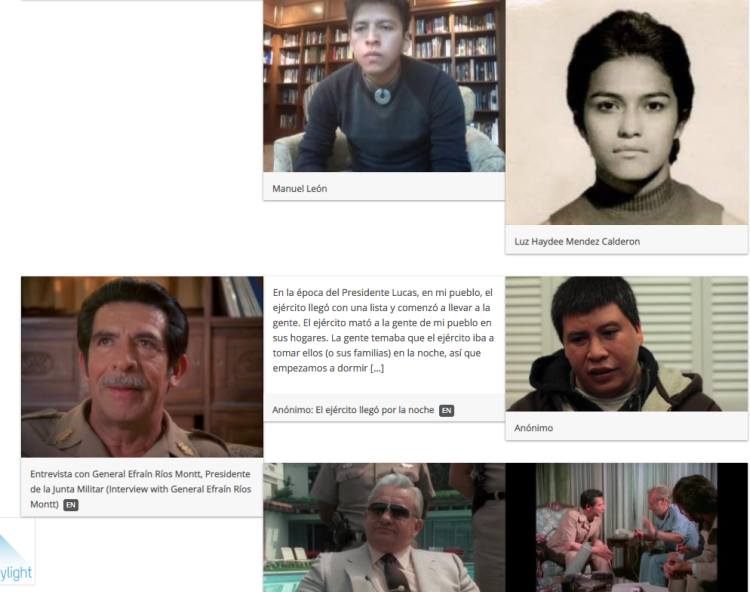 Skylight’s team filmed the entire Ríos Montt trial - “gavel to gavel” - and released highlights online every few days, in addition to the 23 webisode Dictator in the Dock series which they edited while the trial was ongoing. This provided transparency of the judicial process and was highly viewed content. 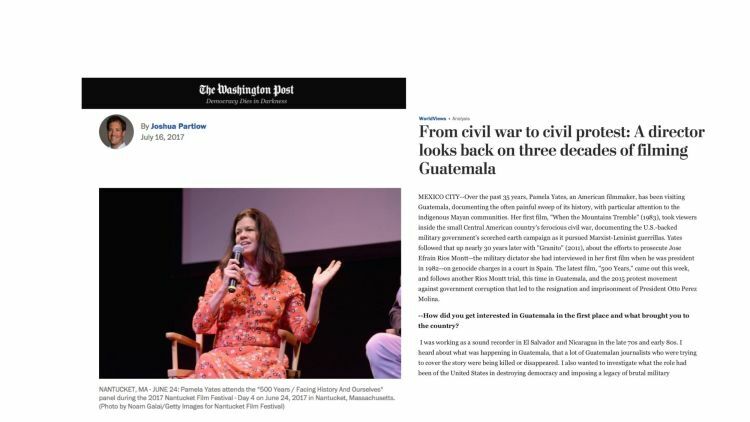 The webisodes were re-published on the sites of several other organizations such as Open Society Justice Initiative, Guatemala’s Center for Human Rights Legal Action (CALDH). 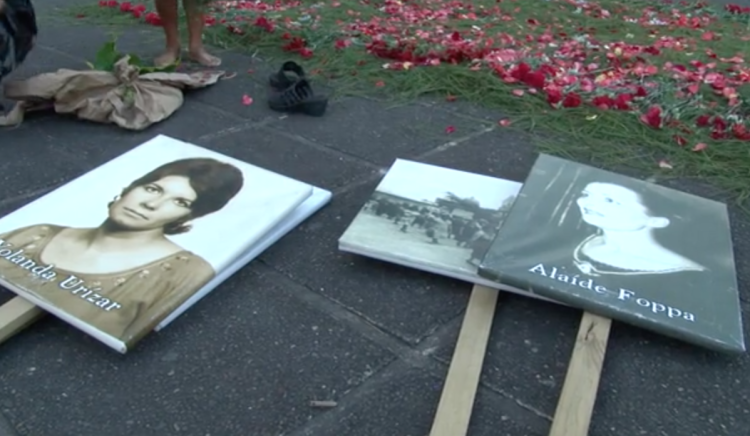 The series was distributed online and on the ground for free. 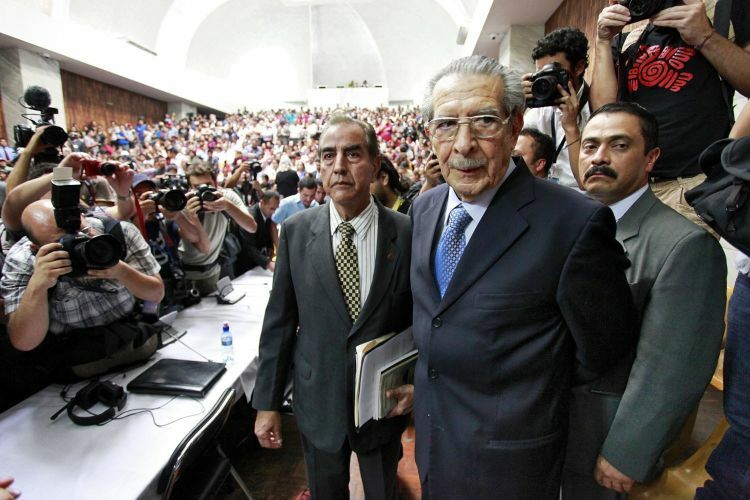 The footage that Skylight captured helped counter a narrative that emerged after Ríos Montt was found guilty, where his supporters declared that the judge was biased. 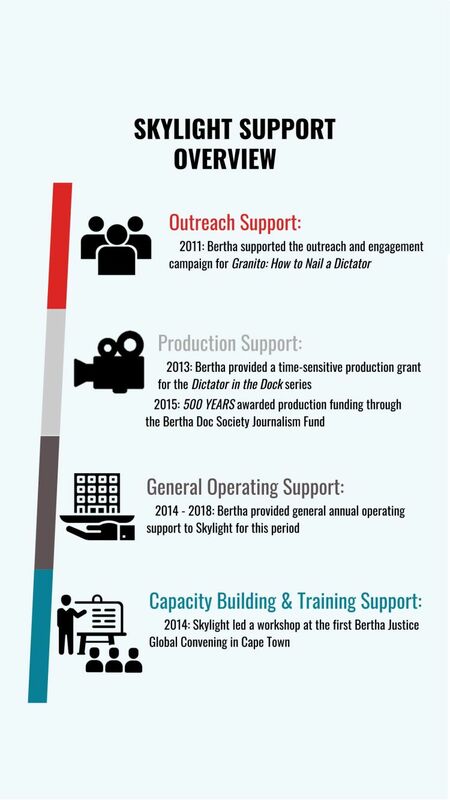 Bertha’s ability to provide flexible funding allowed Skylight to seize a time sensitive opportunity. Without this support, the trial could not have been fully documented by Skylight nor would they have been able to release the content so quickly online. 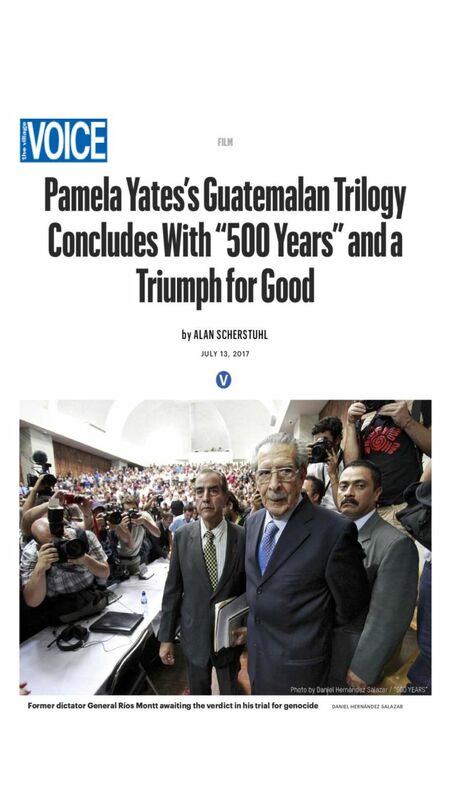 The filming of Dictator in the Dock and the launch of the web series led Skylight to begin development and production on 500 YEARS, which would be the final film to complete their trilogy on Mayan indigenous resistance in Guatemala: The Resistance Saga. 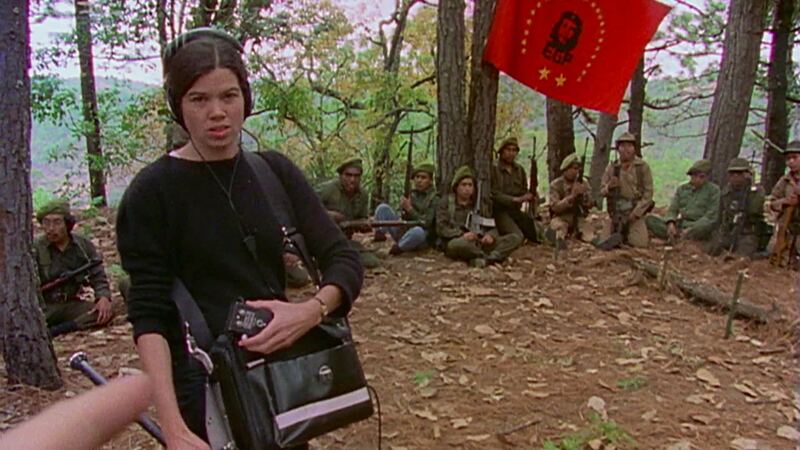 Following When the Mountains Tremble (1983) and Granito: How to Nail a Dictator (2011), 500 YEARS tells the story of the movement in Guatemala that led from Ríos Montt’s genocide trial to the popular movement that toppled sitting President Otto Pérez Molina, from the perspective of the majority indigenous Mayan population. The film explores their struggles in the country’s growing fight against impunity through focusing on universal themes of justice, racism, power and corruption. 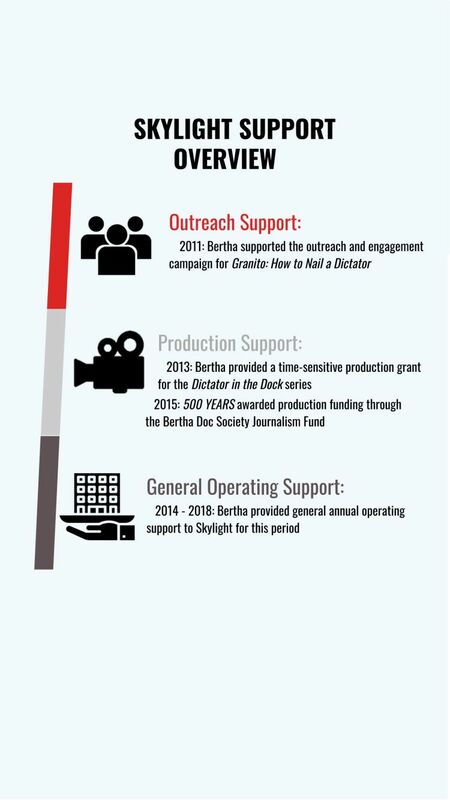 Bertha funded 500 YEARS through the Bertha Doc Society Journalism Fund, recognizing its importance as a film that would interweave themes of justice and the power of social movements. 500 YEARS premiered at Sundance Film Festival in 2017, at a moment when audiences were in deep need of stories that focus on successful global resistance. The resilience of the Mayan people shown in the film continues to inspire and energize, with screenings planned around the world all the way through 2018. Led by their Mayan outreach partners and the protagonists of the film itself, Skylight spent the first year after 500 YEARS’ launch on an international film tour to build support and to mitigate potential attacks from the Guatemalan right wing. 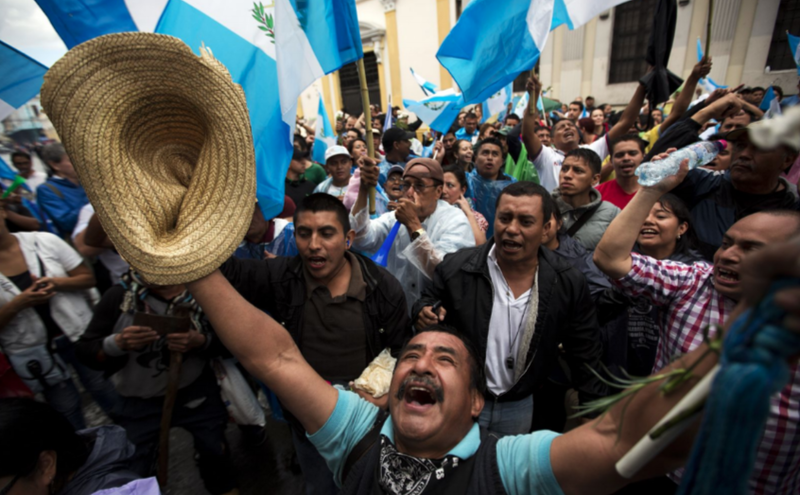 When the film finally premiered in Guatemala, audiences were reinvigorated in their fight for justice against the authoritarian regime of President Jimmy Morales. By seeing themselves and their fellow citizens on screen - taking the Central Plaza in 2015 to bring down a corrupt president - they were reminded of their power. The demand to see the film was huge, filling theaters with up to 1500 capacity and accommodating overflow crowds. Skylight created an online form for NGOs, institutions and schools to request the film free of charge, as well as later producing a film guide for educators, downloadable here. 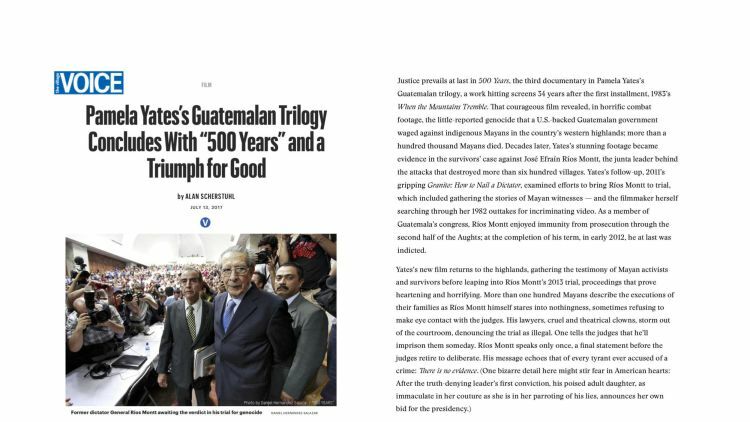 They also strategically decided to give the film to Guatemala’s biggest bootlegger so that dozens of unofficial screenings could continue to happen all over Guatemala, inspiring and strengthening resistance in those who would not otherwise access the film. Skylight’s goal in Guatemala is for the film to be used as a motivating force for intergenerational organizing from indigenous and urban sectors to bring about fundamental change, including reform that would incorporate indigenous rights in a new constitution. The Resistance Saga is a day-long cinematic and artistic touring event designed to galvanize audiences to fight back when society is faced with authoritarianism and demagogues. 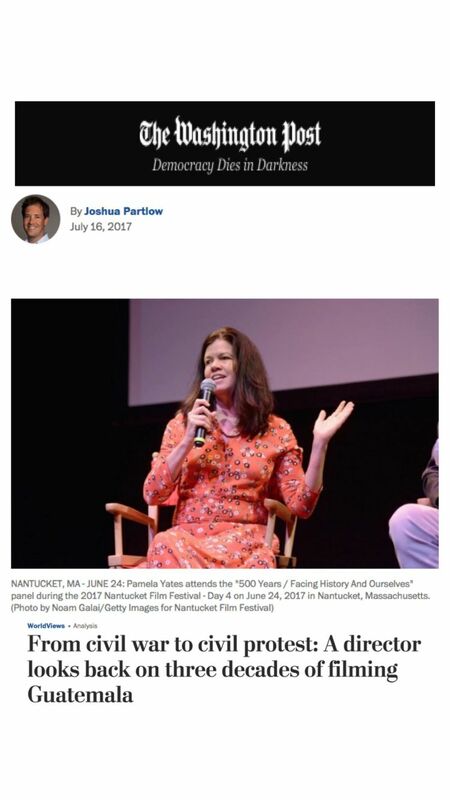 It aims to engage audiences in a dialogue about the role that the arts and law can play in creating, strengthening and communicating narratives of nonviolent resistance. The event includes a forum facilitated by the Mayan women protagonists of the films and activist lawyers who can converse with the social movements that partner with the tour. The premiere of The Resistance Saga took place at Bertha DocHouse in the UK, a Bertha supported cinema screen dedicated solely to documentaries. Watch the Q&A from Bertha DocHouse&apos;s premiere of the Resistance Saga. Throughout The Resistance Saga tour, Skylight has been able to collaborate with immigration activists, women’s rights groups, the movement for black lives and indigenous movements. 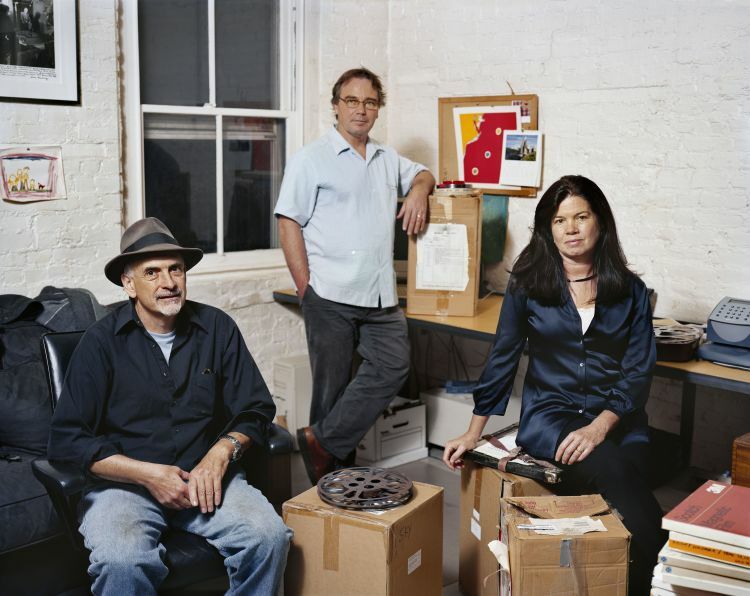 Skylight has found particular resonance screening the films for the immigrant rights movement and The Resistance Saga is becoming a frequently used tool for organizers in different U.S. cities. 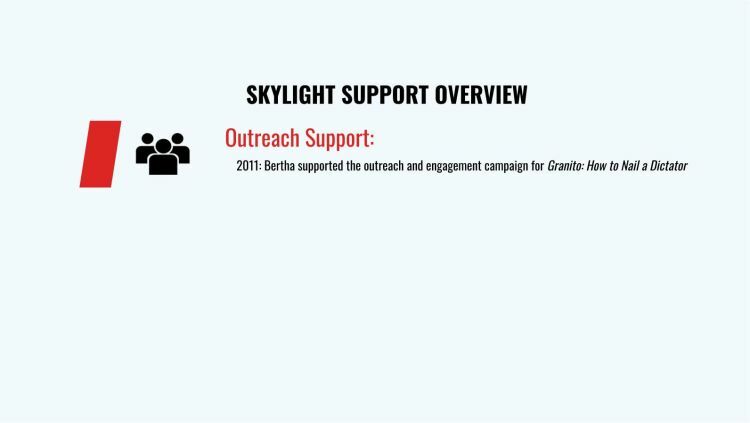 Building on our existing relationship and in response to Skylight’s particular project needs, Bertha began providing general operating support to Skylight as an organization in 2014. 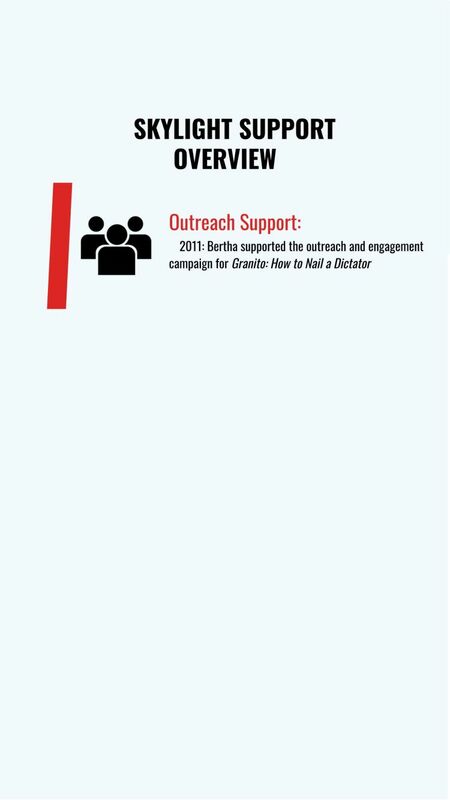 When possible, Bertha believes providing general operating support to organizations allows them to strengthen their internal structures and be more sustainable and reliable entities. For organizations, this core funding means a solid institutional floor so that they can exercise creativity and flexibility. Skylight also helps Bertha realize our Theory of Change through operating training activities for organizers and lawyers embedded in social movements. They have conducted human rights media workshops at various Bertha convenings and retreats. In 2014, Bertha held its first ever Bertha Justice Global Convening for Bertha Justice Fellows in Cape Town. The Global Convening seeks to facilitate a sense of solidarity and cohort across the Bertha Justice Network, while providing learning opportunities, inspiration and encouragement for Bertha Justice Fellows’ long-term engagement in social justice and movement lawyering. Each year, several media practitioners in the Bertha network participate in the convening to present their work to the Fellows and the senior lawyers of our Bertha Justice Partner organizations. 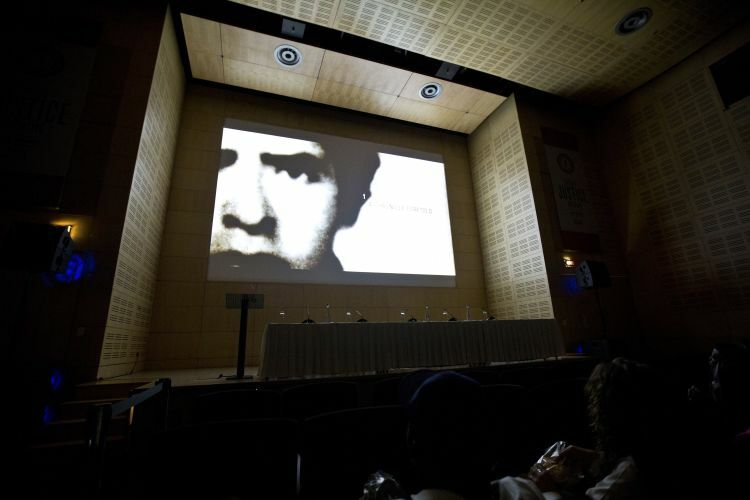 Pamela and Paco attended the 2014 convening to lead a workshop on their work and screen Granito in partnership with fellow Bertha media grantee, Encounters South African Documentary Film Festival. They were able to meet with the Bertha Justice Fellows to share skills, learn from each other’s models and build lasting partnerships. Bertha also funded a Skylight masterclass on human rights media with the goal of activists and lawyers in Bertha’s network accessing it to learn how they can best make use of media as a tool in their advocacy campaigns. 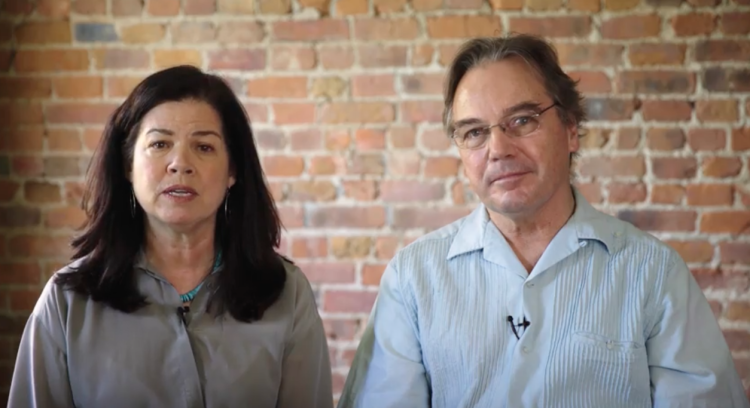 After a comprehensive research period, Skylight launched the online masterclass course in Spring 2018, highlighting the inspiring power of social justice documentaries. 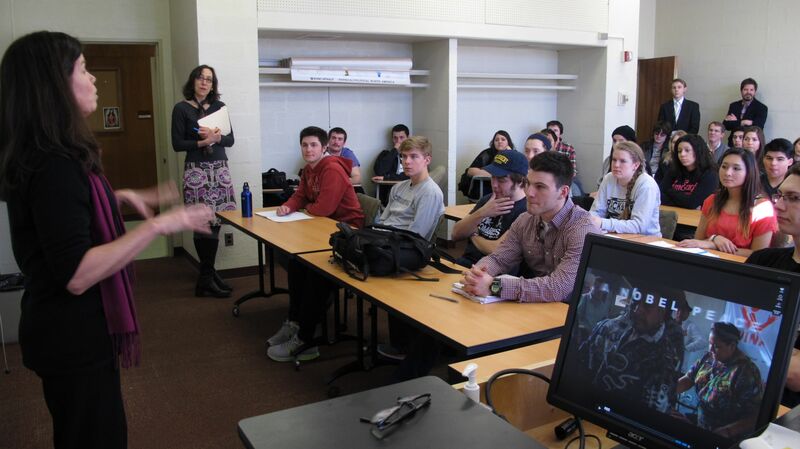 Students are able to take the course (estimated at 4-6 hours self-guided study time) as groups or as individuals and can interact with the presenters via chat rooms and live feeds. "Without Bertha’s support and their cultivation of unifying ideas around activism, legal strategies and filmmaking we wouldn’t be able to build the virtuous circle that exponentially translates into impact for our documentary film work." Skylight has been an integral grantee in the development of Bertha’s storytelling portfolio. In the early days of Bertha’s Social Impact Media Program, it was incredibly helpful to work with talented, experienced artists. 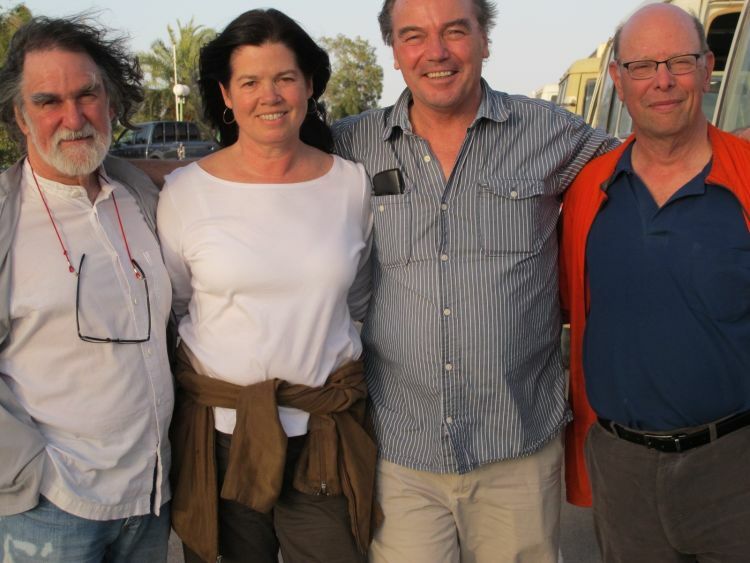 Paco, Pamela and co-founder Peter Kinoy have continuously provided good counsel and are trusted advisors for Bertha. Learning from the strategies that they successfully employed was particularly useful when entering into the field of funding outreach. 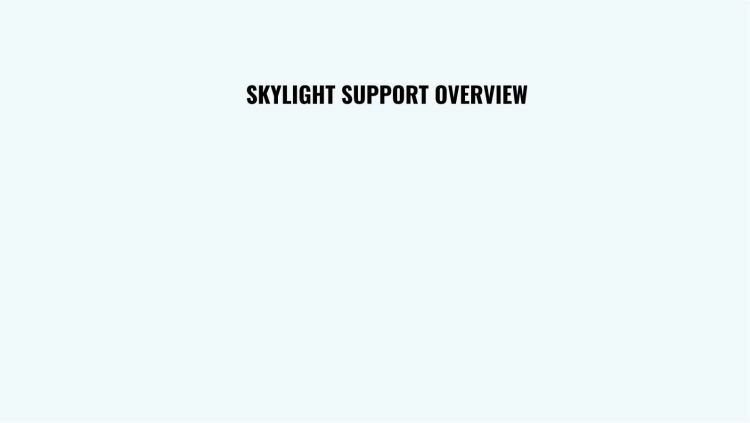 The strong relationship between Bertha and Skylight is built on two-way support and open communication between the teams. 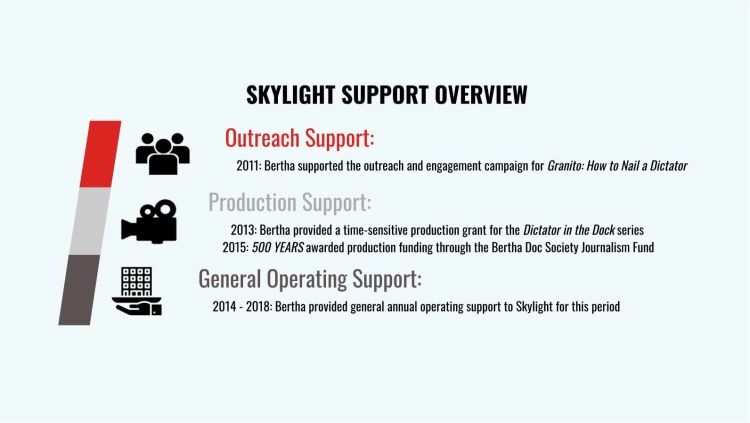 This has allowed Bertha to respond to Skylight’s expressed needs with flexibility, leading to a variety of support from production, outreach and project funding, to rapid response and general operating support. 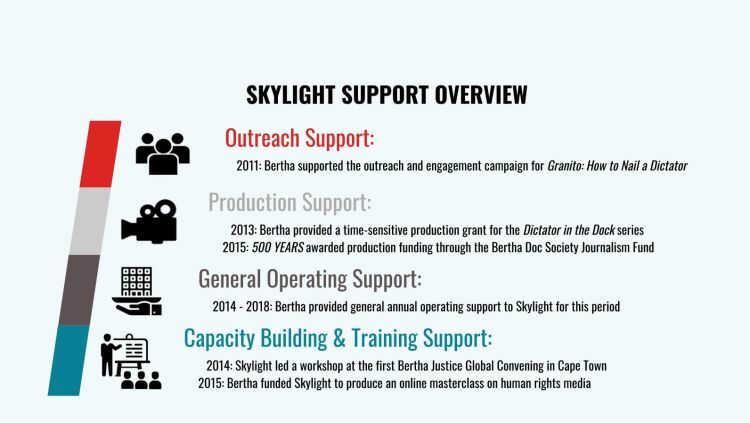 The respect between Bertha and Skylight enables us to learn from one another in our corresponding goals of using media in combination with law and activism as tools to build towards justice and social change.